Tanks and Armored Fighting Vehicles of WW2. History, specifications and pictures of tanks and AFVs of Germany, U.S.A, Britain, Russia (USSR), Japan, Italy and other nations in World War II. 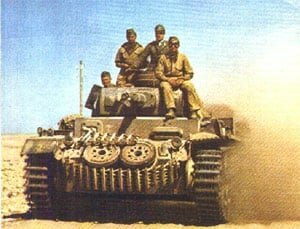 Panzer 3 of Rommel’s Afrika Korps. Despite the fact that Italy as well as Japan manufactured considerable quantities of tanks prior to and throughout WW2, it’s the German panzers which are most famous. At the start of WW2 the Panzerkampfwagen (PzKpfw) I and Panzer II were the most widespread types, but in a short time these had been removed of service and substituted with the Panzer 3 and Panzer 4. The second had the improvement of staying in manufacturing all over the conflict. It was a superb design that became able to be up-gunned and up-armoured to satisfy the altering battleground situation. Even more, several Czech tanks were therefore absorbed by the Germans after the occupation in 1939 and stayed in production in Czechoslovakia. The Panther and Tiger panzers became available in the course of World War 2, however these couldn’t be manufactured in anything like the necessary figures due to shortages in resources and workers and of the effectiveness of Allied bombing on German factories, although many of these had been allocated at the beginning of WW2. The Panther and Tiger were hurried into manufacturing without the proper tests, however, and lots of them had been wasted during their first deployments because of mechanical breakdown instead of direct enemy action. The Tiger was, in particular, a really heavy MBT (main battle tank) and didn’t have mobility on the battlefield. Its armour protection and guns were outstanding, and the Tiger demonstrated a hard one to knock out on both the Russian and Western Fronts. Usually 4 M4 Shermans would be necessary to deal with only one Tiger: 2 might attempt to attract its fire, usually being destroyed in the action, while the other tanks moved round its flanks and attacked it from its weaker sides. Near the end of WW2 Germany switched its concentration on manufacturing increasingly more tank destroyers as by that period the Wehrmacht was on the defensive, and these AFVs (Armored Fighting Vehicles) were easier, faster and less costly to manufacture than panzers, like the Panther or Tiger. Even though some Italian tanks had been relatively contemporary in 1939, by the beginning part of Italy’s war they had grown to be entirely outdated. The more suitable equipped and armoured P 40 medium MBT certainly not joined service with the Italian army, even though several were adopted by the Wehrmacht. Japan employed tanks throughout the invasion of China prior to WW2 and in addition throughout Pacific campaigns from 1941. As a small number of Allied AFVs were deployed at that period the Japanese AFV’s had been fairly sufficient, the more so as their major function was infantry fire support instead of tank-vs-tank encounters. The English and French tanks were are among some of the least effective in WW2. A few of them, like the British Valentine, Matilda and Churchill, were sooner or later transformed into fine combating models, but – working in a hurry and without having a suitable development base by which to progress up their patterns – many British developers manufactured AFVs that were no match for their competitors in the German Panzer divisions. The causes for this are described at the different models, however it is not all of the a pitiful story: regardless of their disadvantages, these MBTs (both Infantry and Cruiser variations) had been occasionally all there was available and with them their crews and commanders mastered the essential courses that were to generate the final Allied triumph. The story of the Cruisers manufactured by United Kingdom has right now already been frequently told but it nevertheless contains re-examination, demonstrating as it does, the fact that a doctrine approved without correct analysis can impact the course of battles, even effectively beyond the stage when the doctrine has been discovered wishing. British and Allied AFV crews had to drive their tanks into battle fully understand their primary weapons were too inadequate, their armoured protection too tiny as well as their mechanical trustworthiness much too suspicious at an important second. However they entered battle all the same and frequently were able to wipe out a greater equipped and prepared enemy. The T-34 of the Red Army. The Russian and US tanks consist of several of the finest known examples which saw action in WW2. Such as the Sherman, the T-34, the Lee and the M3 Lee and Grant, but additionally are a few somewhat less popular brands. Only a few outside Russia could be informed about the small and light T-70 , however in its day it had been numerically a fundamental part of the Red Army AFV fleet, together with the nearly similarly unfamiliar T-26. The figures as well as popularity of the T-34 and the numerous Shermans have tended to eliminate the truth that between 1939 and 1945 there have been various types of AFV lurching across the battlefields. Regardless of the necessity for rigid standardization to improve mass production totals, no enemy could point out at any moment that just a single MBT model could be manufactured. Regular demand and supply imbalances avoided this kind of matter, even though at some point the Russians got not far from it using the T-34. Furthermore, AFVs had been usually maintained operating for so long as possible, occasionally until they had been obsolete. Therefore the M3 Stuart series of American light armored fighting vehicles ongoing to see action all the way through World War II, even after there wasn’t any a purpose around the battleground for their initial services. But if some of the AFVs might be believed to have overshadowed their fellows these were unquestionably the Sherman and the T-34. Jointly both of these types made significant efforts to the ultimate Allied success over Nazi-Germany, and so guaranteed that their brands were documented in history. The two MBTs had their problems. The T-34 was cramped inside and produced to a standard that was nearly primitive. The Sherman was huge, was missing armour protection and was practically always under-gunned. Nevertheless, the two models owned the crucial element features of mobility and availability, and in warfare these benefits will go considerably in the direction of tipping the balance of luck in the direction of one side or another. 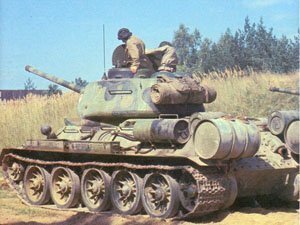 By 1944 both the T-34 as well as the Sherman had been a key component in driving the Wehrmacht back towards the borders of Germany, and for that alone they will always be mentioned.